Addiction is a complex disease. No two people have identical addiction blueprints, the causes or factors involved in the development of a drug or alcohol dependency. Because of this, in order for addiction treatment to be effective it must be multidimensional, addressing all aspects of the individual—the mind, body, and soul. Holistic and experiential therapies add a much needed layer to standard drug rehab programs, offering individuals in treatment the opportunity to grow and develop the mind-body-spirit connection. This important treatment aspect of drug rehab, fostering this important connection, can make all the difference when seeking a sustained, lifelong recovery. Holistic treatment programs are based on the philosophy that the mind-body-soul connection is intertwined, so that disorder or discord in one area of health will impact the other two. Based on this belief, the holistic rehab seeks to identify and treat the area that is unhealthy, that is causing disharmony and drug-seeking behavior. By addressing the area of health that is out of sync, and guiding the individual with the tools to heal it, a lasting recovery is possible. In general, holistic rehabilitation is comprised of a variety of eastern-influenced treatment elements. The holistic program is usually located in a serene, naturally beautiful setting that enhances relaxation and healing, such as a coastal, desert, or mountain environment. Holistic rehabs tend to be more intimate in scale, allowing the staff to focus on the needs and therapeutic preferences of each client. Holistically oriented rehabs also tend to provide highly nutritious meals, often organic, and can address specific nutritional needs such as a gluten-free diet or a vegan diet. What to Expect in Treatment? Holistic drug rehab involves a comprehensive menu of treatment elements. Because each individual’s substance use disorder is unique with varying treatment needs, an individualized treatment plan is drafted at the outset. Those with more severe drug addictions will be assigned an intensive outpatient program (IOP) that requires about 25-30 hours of participation per week, and would have to complete detox and withdrawal prior to beginning the program. Treatment for addiction encompasses specific therapy that best matches the individual’s needs. One on one talk therapy is important for exploring deep pain or past traumas that may be contributing to the need to self-medicate with drugs or alcohol. Group therapy involves a facilitator who guides discussion in the counseling sessions. These provide peer support and also help family members learn better ways to communicate and relate moving forward. Most outpatient treatment programs require the individual is actively involved in a 12-step or non 12-step recovery community. In many cases, residing in a sober living home during and following the rehab program can offer an additional layer of support, reducing the risk of relapse. The holistic treatment elements play an important role in the overall impact of the program. This is because it goes beyond just treating the diagnosis, instead treating the whole person. Some holistic therapies can include mindfulness training, yoga, exercise and recreational therapy, art and music therapy, guided meditation, and journaling. Going through treatment for a drug or alcohol addiction is intense and difficult. The holistic activities offer avenues for emotional growth and opportunities to gain new insights, all of which can enhance the traditional psychotherapy in outpatient rehab. Self exploration through journaling or meditating, for instance, can lead to therapeutic breakthroughs that augment what is being learned in counseling. Addiction Therapeutic Services is an intensive outpatient drug and alcohol treatment program located in Ranch Mirage, California near Palm Desert, Cathedral City and the Coachella Valley. ATS creates individualized treatment plans that are customized to the client’s specific needs. 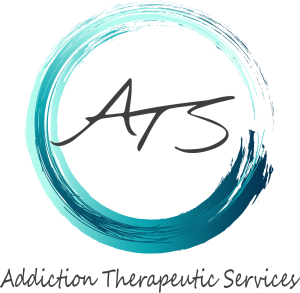 Offering mindfulness training, life skills classes, art therapy, poetry groups, music therapy, and other holistic activities, ATS aims to strengthen the mind-body-soul connection in all its clients. For more information about the program, please contact ATS at (760) 349-7007.